Pearls - classic. Pink pearls - weird. Pink pearls* on a 4-strand in a gradient of pinks - darling. I busted this set out as I have been scheming a potential trip to visit my younger brother (AKA lil bro) in Santa Barbara, CA later this year. I bought these the first and only time I was there fom Yellowstone Vintage, I believe. He may live within walking distance to the ocean in an ever moderate climate, but I, I have pink pearls. Winning. 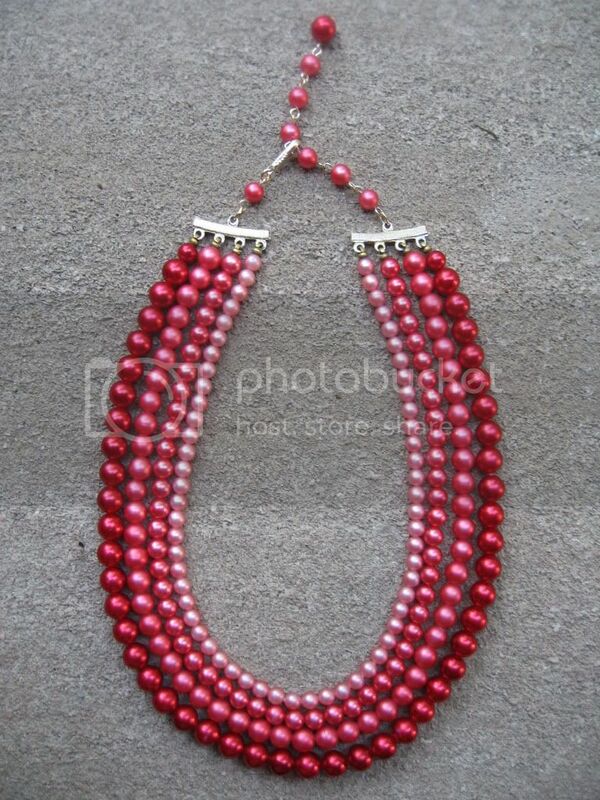 *Pearls = beads made to look like pearls. Pearls in picture are not actual size, or even real pearls. It would be cool if they were because I bet pink pearls are rare.